Too much stress for one female toad during spawning time. 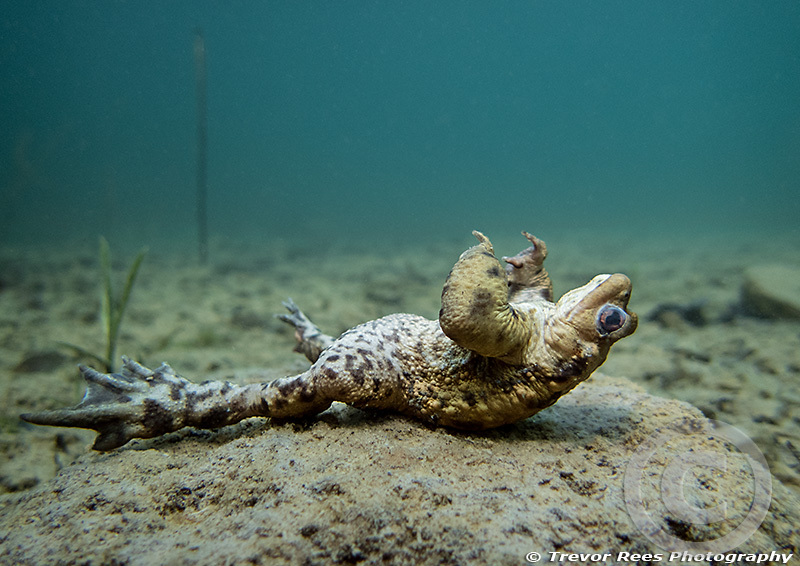 A scene from a flooded freshwater quarry showing a dead/dying female toad, that was unable to survive the stress of numerous amorous males competing to mate with her - taken during Spring after toads have moved from land to water to breed and spawn. The process is one of natures odd spectacles that occurs for only a few weeks each year and a certain amount of cruelty seems involved.